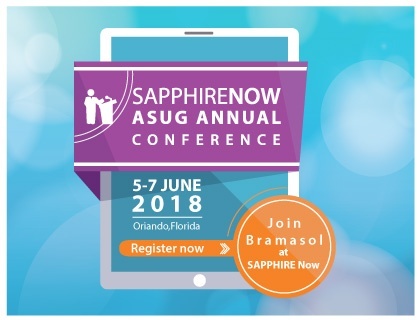 Bramasol is proud to be presenting a special session on Revenue Recognition at SAPPHIRE NOW and ASUG Annual Conference in Orlando, FL. Packsize Helps the World Run Better- LIVE from SAPPHIRE NOW! Headquartered in Salt Lake City, Utah, Packsize is a Bramasol customer that has made an impact on its customers, communities and environment with its innovation through a foundation created using SAP. Packsize is much more than a shipment company; it's a company that innovates and is always thinking about how to run their business better, because their business is the business of their customers. Bramasol worked with Packsize to ensure supply chain efficiency with an SAP solution that works for their business. As you can see from the pictures below, Packsize builds boxes- but not just any boxes, it builds them to shipment size. To the most demanding measurements based on a cubic algorithm that takes all the information loaded in the SAP system and can precisely pinpoint the size a box needs to be to fit a shipment. This can be one box or many boxes. No need for fillers, packaging and waste that is commonly found every time a shipment is sent. The impact is huge. Shipping savings, cost of distribution savings, transportation savings- all throughout the value chain from order to shipment to disposal. Customers can price more competitively because they pass savings along in shipping to their customers. Working with Bramasol to Ignite Possible, Packsize is a great example of how SAP is helping to make the world run better every day. Stop by booth #2518 and meet with the Bramasol team to see how we can make your business run better and ignite possible with you! What does it mean to run your company better? SAP is focused not only on creating software that ensures the highest functionality for your business, but also in emulating the mindset of the "empowered generation": those focused on making the world run better and improve people's lives.